I attach two small photos taken from colour slides exposed by Ronald Sims of the despatch of the port engine from the storage facility at Avonmouth. 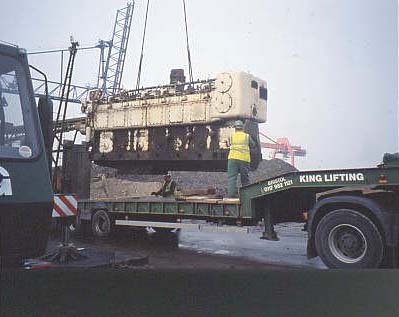 Website www.internalfire.com which includes pictures of their arrival at the museum and plans for their display as a replica engine room! 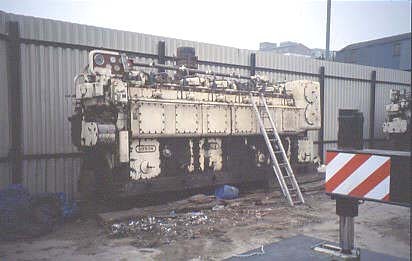 It is planned to run one of the engines in due course.